University Fitness Center, located on the UAH Campus, will be offering fitness classes specifically designed to meet the needs of home schooled students in our area. Our fitness classes for youth ages 5 -17, are held on Tuesdays, Thursdays and Fridays from 2:30-3:30pm and begin Tuesday, September 1st. Classes are designed by a licensed educator and personal trainer to make fitness fun and educational. For $50 per month, your child can enjoy top-notch fitness classes while one parent has access to the entire fitness center from 2pm-3:30pm. Families of four or more children will pay a small additional fee. To register, come by the fitness center by August 25th and sign up at the front desk. Please feel free to contact me with any additional questions about our classes. I have enclosed a flyer with all the details. Please pass it along to anyone you feel would be interested in attending. 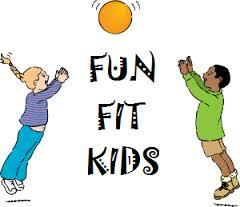 Our goal is for ALL our children to benefit from getting fit and feeling healthy!